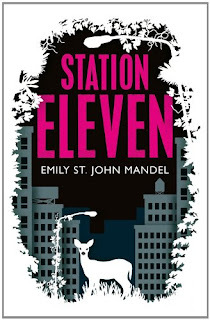 Well our June discussion of Station Eleven by Emily St. John Mandel was a great meeting- everybody in attendance loved the book and we had quite a long discussion about what the end of the world might look like and how we'd react to it. Some of us estimated we'd last about 3 days TOPS, others thought they'd thrive in a post apocalypse landscape. We've seen enough documentaries about survivalists and their bunkers and tinned food! We talked about the things we take for granted that would be gone in an instant, should a disaster like this ever occur. There's a whole chapter of the book that just lists things that are gone- chlorinated swimming pools, aviation, air conditioning. Things we never realised we'd got so used to. 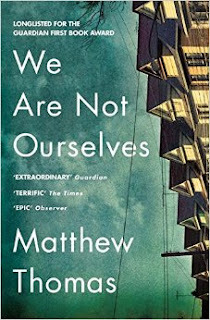 The group acknowledged that in a genre done to death (the end of the world, survivor group) Station Eleven really stands out because of the beautiful and elegant prose. It was mentioned that the apocalypse is almost incidental, that it's the setting for the novel but not the plot.. It was commented upon too that the reader never really witnesses the end, just the aftermath, which is where the real stories start. Kirsten doesn't remember the collapse, having no memories at all of the apparently terrible things that happened to her during year 1 and we don't really need to see it to know it happened. Another of the book's stand out features was the complexity and intrigue of the story. The way all the characters connect together over time and distance is so intricate and the reader is enthralled by their compulsion to carry on, their will to survive. We all really liked Clark (the Pra-ha scene in particular is amazing), who was hope personified really. He became a much better person after civilisation collapsed, and was happy again- shaving half of his hair off like he used to in his 20s when he was free from his executive but soul-destroying job. A client of his talks about her colleague as a "High Functioning Sleep walker" and that is what Clark becomes. We had a couple of minutes talking about Arthur too and how important he was to the story, the ghost that held it all together. There were various thoughts on Arthur- some felt sorry for him, others were infuriated by his arrogance and the way he treated the people in his life. Especially Miranda, who was just so lovely and understanding! In my head he was Alec Baldwin as Jack Donnaghy, but other members envisaged Michaels Keaton and Douglas.